« LHS Episode #027: Where Are My Meds? We have topped 40,000 downloads! Thanks go out to all of our listeners and live webcast attendees for making Linux in the HAM Shack as popular as it is. Give yourselves a huge round of applause. We're also well on our way to our donation goal of $750 so we can buy booth space and Internet access at the Dayton Hamvention in Dayton, Ohio, in May of 2010. Thank you for all of your donations. Please keep them coming as you're able to send them in! In this episode, we address listener feedback and comments, and then in a burst of inspiration invite listeners from the chat room to come onto the program for a lively and very fun roundtable discussion. 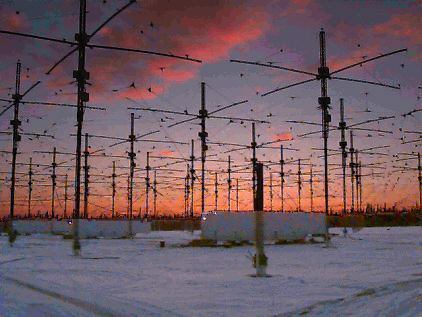 Topics were varied, from portable antenna design, to life without Red Bull; from the HAARP VLF array in Alaska to D-STAR, PACTOR and other digital ham radio communication modes. And since I was on meds and Richard was off his, things got a little crazy towards the end. We hope you enjoy this episode of Linux in the HAM Shack. Please leave us comments or questions on the web site or via voice mail at 888-455-0305. And send your best wishes to Bill, KA9WKA, who has taken on the responsibility of getting LHS's show notes out in a timely fashion. Thanks, Bill. You're a lifesaver!